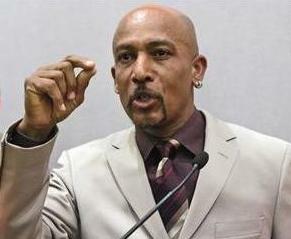 *Saturday in Maine, television host Montel Williams spoke at yesterday’s Maine Medical Marijuana conference. He was at the event, held at the University of Southern Maine, to speak about the state’s new law allowing medical marijuana dispensaries in hopes that he could be a voice for patients and caregivers who are often not heard in public debates and conferences around the country on the legality and validity of the use of this form of medication. At one point when his pain level became so bad and was in tears, attending Cumberland County Sheriff Mark Dion shouted from the audience “why don’t you just take your medicine?” … the audience applauded and stood as Williams sat down, pulled out a joint and fired it up, lighting up the approval meter of the attendee’s present. It is hard for me to imagine that grown people go out of their way to stop the very thing this country is meant to represent, liberty. Whatever happened to our right to the pursuit of happiness if nothing else. People should be able to go about their personal business as long as they aren’t a danger to others. And the glass pipes and marijuana do not seem that dangerous to me. Bravo Montel, Bravo.